Jardim Botânico consistently ranks as one of the most desirable and expensive neighborhoods in Rio, though it is still considered a more affordable option than the likes of Leblon, Ipanema, and Gávea. RIO DE JANEIRO, BRAZIL – The neighborhood of Jardim Botânico is not as well known as some in Rio’s Zona Sul (South Zone), but this is one of the primary reasons why its residents enjoy living here so much. Named after the Jardim Botânico (Botanical Gardens) it is also home to the spectacular Parque Lage and the many quiet, picturesque streets. 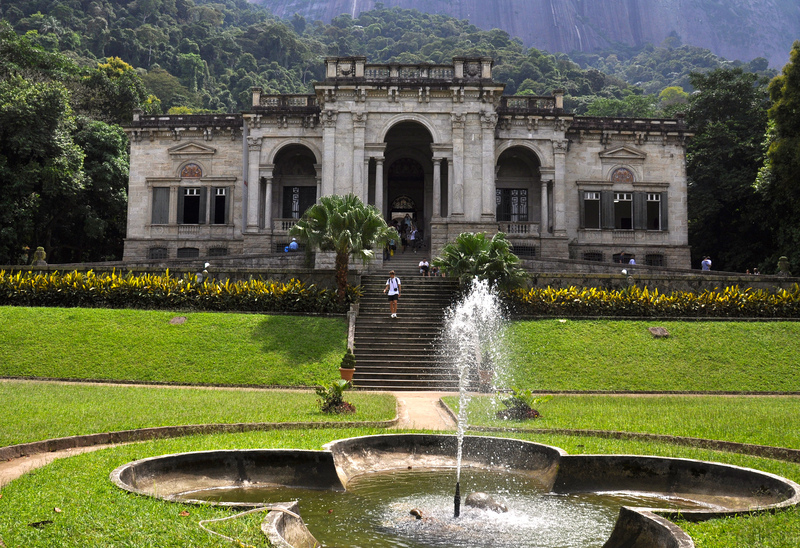 Consistently rated as one of the most beautiful parks in Rio de Janeiro, Parque Lage is an oasis of calm situated just underneath Cristo Redentor (Christ the Redeemer), photo by Alexandre Macieira/Riotur. The location of the neighborhood helps to keep its special status among Cariocas as more hidden-away compared to its neighbors, such as Ipanema and Leblon to the south and Gávea to the west. However, Jardim Botânico is quite a way away from the nearest metro stations, which means that buses, taxis and cars are the preferred mode of transport here, as well as ambling along its picturesque streets by foot. The housing stock in Jardim Botânico is fairly unique in that it is a mixture of individual houses and the usual apartment blocks that are the norm in Zona Sul (South Zone). Though many of these period houses and mansions are family owned and rarely come on the market, there are still plenty of luxury apartments on offer, which are more in the style of Barra da Tijuca or São Conrado. The neighborhood is also known for being one of the most exclusive in Rio de Janeiro, with almost all its inhabitants falling within the upper-middle to upper class income brackets. Many actors and television personalities reside here as it is the location of O Globo’s (Brazil’s biggest television network) headquarters. Perhaps because of its celebrity status, Jardim Botânico recently gained a reputation for culinary excellence, with the restaurant ORO, from Brazilian chef Felipe Bronze, frequently topping the lists of best restaurants in Rio. There are also other high-quality options, such as Braz Pizzaria and Casa Camolese, as well as Taj Mahal, one of the most authentic Indian restaurants in the city. Indeed a main draw of the neighborhood is its close proximity to nature. With Tijuca forest right on the northern border of Jardim Botânico, many hiking trails are just a walk away, including access to Vista Chinesa (Chinese View – a famous viewing point of the city), Cachoro do Horto (Waterfall Garden) and the ‎Corcovado mountain, home to Cristo Redentor (Christ the Redeemer). 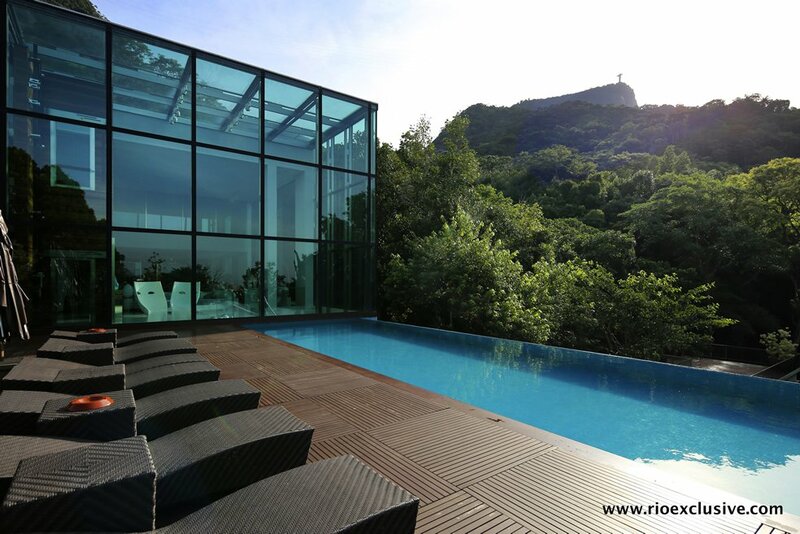 Rio Exclusive are currently offering many luxury property rentals and sales in Jardim Botânico, such as this 4.000m2 mansion, built over three floors and surrounded by beautiful forest, photo courtesy of Rio Exclusive. During Carnival, the neighborhood hosts one of the most famous Blocos (street parties) in the city, called ‘Suvaco do Cristo’ (Armpit of Christ) because the neighborhood is located underneath the right armpit of the statue. For culture, Parque Lage often hosts diverse events, such as this year’s ‘Day of the Indian’ commemoration, as well as groups practicing Tai Chi or Yoga. The spectacular mansion in the middle of the park now contains the Escola de Artes Visuais do Parque Lage (School of Visual Arts), who also regularly hold both theatrical and musical performances. To buy, the average price per square meter is around R$13,300 which is up from our last report. For example, there is a three-bedroom 115m² apartment situated on Rua Itaipava available for R$895,000. At the luxury end of the market, Jardim Botânico has plenty to offer as well, including one villa that is 872m2 with its 150m2 pool house, which is priced at R$45,000,000. For rental properties, the current average is around R$33 per square meter, with a 90m2 three-bedroom apartment located on Rua Jardim Botânico available for R$3,000 per month.